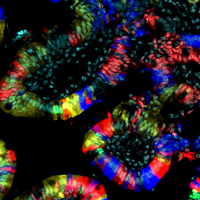 WIKIMEDIA, GLEIBERGLike the human gastrointestinal tract, the mouse gut is home to beneficial bacteria that help boost the host immune system and ward off pathogens, among other things. Wipe out this commensal microbiome, and the mice are more susceptible to intestinal injury and infection. 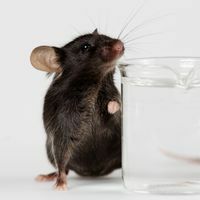 But the presence of murine norovirus (MNV) appears to recover some of these beneficial functions in the guts of germ-free or antibiotic-treated mice, according to a study published in Nature today (November 19). 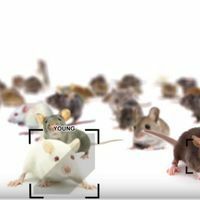 Specifically, Ken Cadwell of the Skirball Institute of Biomolecular Medicine at New York University’s Langone Medical Center and his colleagues found that MNV infection in germ-free and antibiotic-treated mice helped repair morphological defects within the intestine related to the lack of bacteria and boosted the production of immune cells and signaling molecules there. “It’s as if we took these germ-free mice and gave back their [beneficial] bacteria,” Cadwell told reporters during a press briefing today. 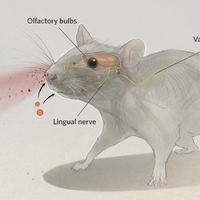 Unlike human noroviruses that can cause gastroenteritis, the MNV strain the team homed in on (MNV.CR6) does not typically make mice sick, so it can persist unnoticed in the mouse gut for extended periods of time. 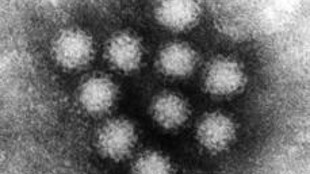 “A lot of labs use this MNV strain to study human noroviruses because they display very similar properties at the molecular and cellular level,” Cadwell told The Scientist. “But at the disease level, MNV is quite different because the human viruses usually—but not always—come in, wreak havoc, then leave.” In contrast, the murine virus “can stick around for quite a long time, maybe even the entire lifetime of the mouse,” he said, while not causing the animal overt harm. The team next aims to understand how this virus protects its host, and to determine whether there are viruses in the human gut that are similarly beneficial. But compared to studies of the bacteria, fungi, and archaea that inhabit the gut, characterizing the virome has proven challenging. E. Kernbauer et al., “An enteric virus can replace the beneficial function of commensal bacteria,” Nature, doi:10.1038/nature13960, 2014.